Have you ever been deep sea fishing? Until last summer, I hadn’t. Which is rather surprising, since I grew up here on the Gulf Coast and spent most of my impressionable days on the deck of one boat or another. It was a warm day in late May. The first few catches were decent B-liners (Vermillion Snapper). The next week Red Snapper season opened and I’m still not sure who was more hooked, me or the fish. The fight at the bottom of the line made dinner taste that much better. I’m not alone. Offshore fishing is big business. Recreational fishing affects every facet of our tourist driven economy. The marketing committee of the TDC understands this. In a recent meeting there were several references to fishing. “People come here for the fishing.” The TDC wants to make sure that potential visitors know that there is great fishing from the new County Pier. Sure fishing is fun… after the beach, after the water park, after the golf… Let’s go fishing! But for some it is more than something to check off the list of things to do, it is the main reason they come to Panama City Beach. Fishing is not just for sport on Florida’s Panhandle. Pam Anderson, Operations Manager of Capt. Anderson Marina points out, when people go fishing, “they are fishing for food.” Recreational fishing encompasses two categories. 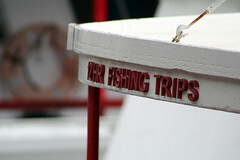 The first is the “recreational angler.” This is the fisherman that goes out on his/her own boat and fishes. 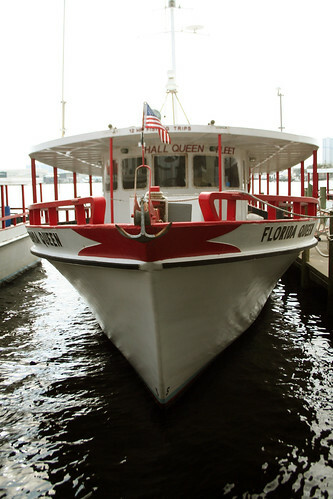 The second is the “for hire” Charter Boats that take groups and families off shore fishing, as well as the Party Boats that accommodate as many as 40-60 fishing passengers on 6, 8 and 12 hour fishing trips. In a January 12 meeting with area fishermen, Senator George LeMieux, R-Florida came looking for answers. What he got was an earful from area fishermen telling him how the NMFS has failed to acknowledge the economic hardship brought on by its regulations and needed better funding to produce more accurate data. These concerns are mirrored on the Gulf Coast of Florida. Anderson writes, “Catch shares are not good for the recreational anglers. They will increase the costs of fishing substantially, to the point of many not being able to fish at all anymore. This Natural Resource, belongs to all the people, not just a few of the most wealthy”. All in all, these Individual fishing quotas (IFQ) “catch-share” programs, as proposed today, are going to be bad for fishermen, bad for ecosystems and bad for consumers. The oceans are a public trust, and there must be meaningful public comment on a broad national scale before they become the private property of anyone but the people. Comments may also be submitted by email to the Gulf Council at: Amendment32@gulfcouncil.org . So what does this mean for you and me? Tighter regulations. Shorter fishing seasons. Higher prices. Less boats on the water. What does this mean for our economy? I don’t even want to think about it. The Recreational Fishing Alliance is gathering support for a rally on the steps of the U.S. Capitol in Washington, DC on February 24 at noon. This will be an organized demonstration against the unintended negative impacts of the Magnuson Stevens Conservation and Management Act (MSA). You can also show your support for Recreational Fisherman by joining Fisherman’s Voice on Facebook and Twitter and subscribing to the blog: United We Fish. You can read more about catch shares at: www.nmfs.noaa.gov/catchshares. Dr. Frank J. Hester, PhD’s full report available here. Submit your comments to NOAA officials in Washington, D.C. via web. Comments can be submitted by email to the Gulf Council at: Amendment32@gulfcouncil.org (The Gulf Council will be deciding at the February 1-4 meeting in Mobile whether the stakeholders (you and I) want catch shares and sector separation in the Gulf Region. Notwithstanding any other provision of law, the reef fish fisheries in the Gulf of Mexico and South Atlantic shall not be required to be rebuilt, and over-fishing ended, by a specific date provided that the annual level of fishing does not exceed the net reproduction rate for that fishery such that the fishery is rebuilding each year. If the objective set forth in this section is not met for any of the Gulf of Mexico and South Atlantic reef fish fisheries in one year, the Secretary of Commerce shall adjust the fishing rate in that specific fishery in subsequent years to compensate for any overage. Great Article. I will be joining the facebook fan page! If you like fishing… If you like to eat fish… If you know someone in the industry… If you live and work anywhere along the 88,000 miles of US coastline, this affects you! There are many commercial and recreational fishermen from the Tarheel State headed north to take back our Fishery. Thank you for all that you do. See you at the Capitol. Here is a letter that I just received from my Congressman supporting our efforts. You asked for my thoughts on the state of fisheries science and its impact on watermen and I’m happy to oblige. There is no doubt that much of the science used to regulate U.S. fisheries is at best incomplete, and at worst, fundamentally flawed. One problem caused by the Magnuson Stevens Act, which provides the statutory framework for fisheries management, and the interpretation of that law by the courts, has been that the Act’s mandate for use of “best available” science has turned into an excuse for fisheries management councils to use flawed science, often because it’s the only data that exists. This problem is compounded by the arbitrary, unnecessary mandates in the Magnuson Act that overfishing be ended within one year and stock rebuilding be completed within ten years The end result for fishermen has been that in the name of following the law, councils use flawed science as justification to impose draconian management measures that have severe economic impacts on fishing communities. We have seen this process play out in numerous fisheries including summer flounder, and most recently, the snapper-grouper complex. Fishermen need relief, but unless the law is changed, these problems will persist. I am a strong believer in the need for more robust science and improved data collection methods. I have also been a long-time proponent of providing flexibility in rebuilding stocks. For example, last Congress I introduced the Flexibility in Rebuilding American Fisheries Act, which would give councils the flexibility to extend rebuilding timeframes beyond ten years, thereby allowing fishermen more catch in the meantime. That bill has been reintroduced this Congress by Representative Frank Pallone of New Jersey, and is now known as H.R. 1584. I am also a cosponsor of H.R. 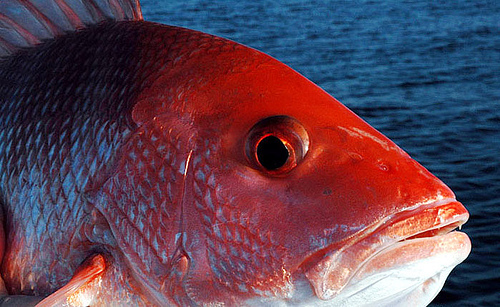 3307, which would prevent any rule restricting red snapper fishing from going into effect until a new population study of this species can be conducted. Please know that I am very concerned about these issues and am constantly looking for solutions. It is unacceptable for America’s fishermen, especially during this economic downturn, to be further subjected to unnecessary fishing restrictions due to the misguided mandates of federal fishing laws. Great Article! Thank you for sharing this issue with your viewers. Recreational anglers sometimes do not realize they have a voice and that their comments do make a difference. Next week NMFS will be holding one of its quarterly meetings in Mobile Monday through Thursday. There will be an opportunity to ask questions of fishery managers after the meetings end at 5 p.m. on Tuesday. There will be a presentation from the Catch Shares Policy Task Force on Wed., 1:15-1:45 p.m. There will be a public testimony/public comment period from 2:15 until about 4:15 p.m. Dr. Daniel Bromley published some interesting research on the problems with Catch Shares that we need to be aware of in his study. It can be found at dbromley@wisc.edu. Fisheries • vol 34 no 6 • june 2009 • http://www.fisheries.org 281. Excellent op ed! Right on every point! fishing regs. His argument is that the economic impact will be minimal. I’d like for him to hear from some full time residents about the real impact on their lives.